Have you been struck by a sickness bug or illness outbreak at your hotel in Spain and now want to claim compensation from your holiday company? 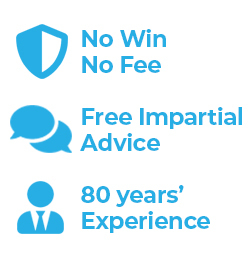 Give our team a call or drop us a line for free no obligation advice and see if you could make a claim. Visit Holiday-Hotel-Watch and find out which hotels in the Costa Del Sol we are currently investigating. Please tell us if you have just returned from a holiday abroad and know about a hotel that has been affected by an illness outbreak causing British holidaymakers to fall sick. We are very interested to hear from anyone who has returned from a foreign holiday and has been diagnosed with Salmonella, Campylobacter, E. Coli, Shigella, Cryptosporidium or any other bacterial or parasitic infection. Literally meaning 'Coast of the Sun' the Costa Del Sol welcomes more than 13 million holidaymakers every year. Malaga Fact: Malaga is the birthplace of Picasso and where General Franco was determined in the 1950's to create the 'Florida of Europe'. By the 1970's and early 1980's the Costa Del Sol became known as the 'Costa Del Crime' due to the high number of criminals who moved there to escape the law and justice. Resorts in the Costa Del Sol include Torremolinos, Marbella, Fuengirola, Nerja, Benalmadena, Calahonda, Ojen, Puerto Banus, San Pedro De Alcantara, Torrox, Mijas Costa, Frigiliana and Malaga. Our Mainland Spain Holiday Illness Claims Lawyers follow hotels in the Costa Del Sol for illness and sickness outbreaks at hotels. Take a look at the hotels our Holiday Illness Claims Lawyers watch for complaints made by UK holidaymakers. Don't worry if your hotel is not featured. Providing your holiday was purchased as a package holiday we should be able to help. Claim your compensation today if you were ill due to food poisoning or sick because of a filthy hotel whilst on holiday in Spain. Simpson Millar's Holiday Claims Lawyers are renowned for their excellent results and offer a personal service intended to put your mind at ease and make the claims process as simple as possible. Our team work closely with Spanish lawyers and experts in disciplines ranging from architecture to forensic engineering to ensure that your case is put forward in the strongest terms. Our Holiday Illness Claims experts are distinguishable from other lawyers as between them they have many years of experience of actually working for the UK's leading tour operators meaning they understand tour operating and importantly how to win compensation.